Listen to the invigorating hour-long talk by clicking here. A few of my favourite bioarchaeology, archaeology and history publications. Photo credit: author. If you are interested in learning more about the history, theory and methods used within bioarchaeology, and the disciplines importance in a number of fields, then I highly recommend any of the above books. In particular I’d say both The Archaeology of Human Bones by Simon Mays and Clark Spencer Larsen’s Bioarchaeology: Interpreting Behaviour from the Human Skeleton are great starting points. I haven’t wrote about palaeoanthropology much recently, but I have been meaning to write about Homo floresiensis for a while now. The diminutive hominin, most likely a new Homo species although this is still debated, was discovered by chance on the Indonesian island of Flores in 2003 during the excavation of the Liang Bua cave site, which was led by the now sadly deceased New Zealand archaeologist Mike Morwood (Brown et al. 2004). The team that excavated at Liang Bua cave found the remains for a probable 12 separate H. floresiensis individuals dating from around 95,000 years ago to around 13,000 years ago (1), making H. floresiensis one of the last hominin species to live in conjunction with our species, H. sapiens (Brown et al. 2004: 1055). One of the most complete individuals found at the site is LB1, an adult female aged around 30 who has almost both lower limbs, upper right arm, pelvis and cranium surviving (see image below). It is this individual that has become the holotype, or type species, for H. floresiensis and on who most of the current research has, and continues, to focuses on (Brown et al. 2004, Brown 2012, Falk et al. 2005, Henneburg et al. 2014). The majority of this research has been focused on the skeletal remains themselves and archaeological context as attempts to extract ancient DNA (aDNA) from the remains has not been successful, likely due to the cave environment that the skeletons were excavated from and the fragmentary nature of the surviving aDNA. Morwood’s team formally announced the details of the skeletal remains in 2004 and stated that the remains included primitive and derived features resulting from long term isolation and endemic dwarfing (Brown et al. 2004: 1055-56). It is important to note here that up until the excavation of H. floresiensis in 2003 it was thought that only H. erectus and H. sapiens were the only Homo hominins present in Late Pleistocene Asia (Brown et al. 2004: 1056). Later hominin finds, such as at the Denisova Cave excavations in Siberia in 2010 and the announcement of the Denisovan species, have highlighted that other unknown hominins were present in Late Pleistocene Asian contexts helping to fundamental change, and challenge, the way that we think of the evolution of our species H. sapiens (Reich et al. 2010: 1053). The species holotype is LB1, found in 2003 in the Liang Bua cave site on Flores, Indonesia. The adult female individual dates to 18,000 years old, stood 3.5 ft tall and represents one of the most complete H. floresiensis individuals found. Notice the large dentition relative to the overall cranium size. Image is not to scale. Image credit: Jennifer Clark (Human Origins Program) and Chip Clark (Smithsonian Institution). There are many issues surrounding the remains of the H. floresiensis hominins that serve to obstruct and help obfuscate the research that has taken place into understanding the origin and anatomy of the floresiensis hominin. Inevitability this is ongoing as McVie (2014) highlights in a recent Guardian newspaper article. Thus it is pertinent to highlight them here to help understand where we are at with understanding the remains of the Flores hominin. Indeed the H. floresiensis case has all the unfortunate tropes of a spectacular palaeoanthropological find (2) (the unexpectedness of the finds, the bickering academics, mishandling of remains etc.) and continues to show no sign of abating. As is indicative above, H. floresiensis is a unique and interesting recent hominin ancestor, even more so as the only physical remains of the species are the 12 individuals found and excavated at the Liang Bua cave site in Indonesia. It is the opposite to our modern notion of the (much maligned) Neandertal, being gracile, petite and small in statue and body. Perhaps inevitably it was labelled a ‘hobbit’ species (although this word has led to problems with the Tolkein estate). The type specimen LB1 was quickly repudiated as a H. sapiens individual with a pathology by several researchers and others who have, at various times, stated that all the H. floresiensis individuals, and in particular LB1 and partial skeleton LB6, display attributes varying from myxoedematous endemic cretinism (Oxnard et al. 2010, Brown 2012), Laron Syndrome (Falk et al. 2009, see Hawks 2007), or Down Syndrome (Benton 2014, Henneburg et al. 2014). There have also comparisons even being made of the singularity of the Late Pleistocene epoch species being compared to the K/T impact boundary event 65 million years ago (Eckhardt et al. 2014), which frankly is a little mystifying. McVie (2014) has highlighted a potential conflict of interest with regards to both the Eckhardt et al. (2014) and Henneburg et al. (2014) publications, as there is a suggestion that Henneburg (who helped author both articles) picked his reviewers to help favour his research team’s hypothesis and investigation. The journal that both of the articles were recently published in, Proceedings of the National Academy of Sciences of the United States of America (or PNAS), does not operate a peer review policy in the recognised sense, as most of the other respected journals use, but uses its own specific and trusted system (see here). Perhaps most surprising is the fact that this team have now published 3 separate papers each focusing on different pathological conditions each time in their continued belief that the H. floresiensis remains are probable members of H. sapiens and represent pathological processes (Henneburg et al. 2014). Regardless of the ongoing new-species-or-not debate there must be further investigation of the context of the remains. As Hawks (2007) highlights it is the exact nature of where H. floresiensis fits in both the evolutionary tree and the archaeological context of Asia that remains to be thoroughly demonstrated. This can only be determined by further finds with consolidated archaeological contexts over an extensive period of time and, with luck, further specimens of this hopeful new species. The specimens of this population found on Flores, Indonesia, are both tantalising for the human evolution implications and frustrating for their apparent uniqueness in location and time. 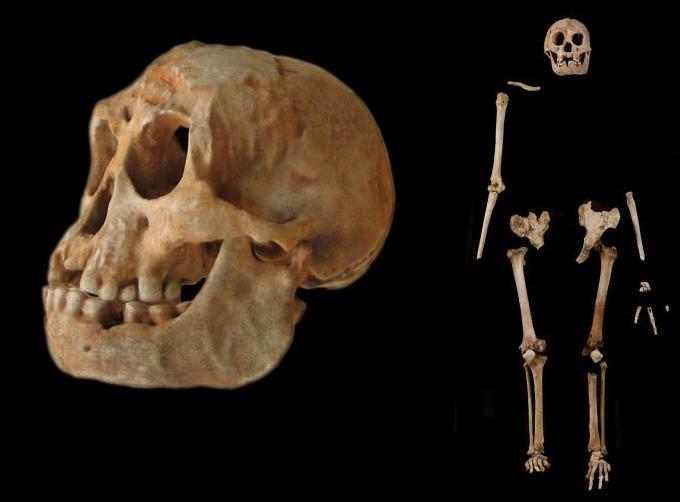 As such the Flores H. floresiensis remains are surely one of the most interesting and divisive points of interest in the palaeoanthropological world today. (1). A new analysis of the chosen radiocarbon samples and the stratigraphy of the cave site by Sutikna et al. (2016) has led to a serious revision in the chronology of the Homo floresiensis fossils. It seems that all fossil evidence of H. floresiensis is older than 60,000 years, which is a major revision and leaves a lot of questions regarding the contextual material culture and faunal remains and their association with the fossil hominins. John Hawks has covered the implications that this new article by Sutikna et al. has in a detailed and interesting read, check it out here. (2). 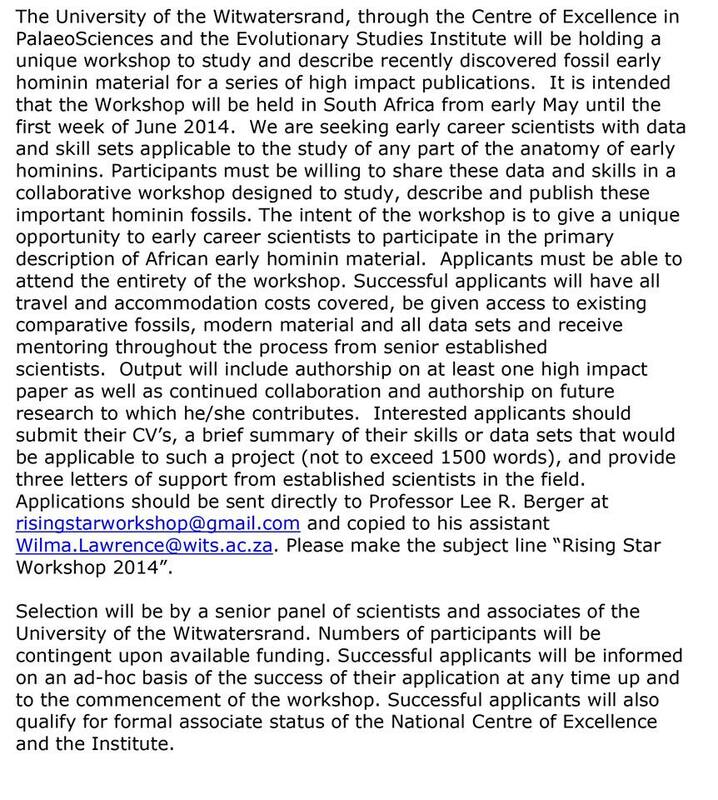 An excellent counter example of this is the University of the Witwatersrand and National Geographic funded Rising Star project currently underway in South Africa, where the remains of a spectacular palaeoanthropological site (with the evidence of numerous hominin individuals of some importance) has been well and truly open to researchers and members of the public to take part in and to learn about. This has included an extensive and on-going social media presence and an open call for researchers to join collaborative workshops to study the remains. The Smithsonian Institute has a handy guide in introducing the hominins of human evolution at the Human Origins website and, as a part of this, there is a nice guide to H. floresiensis. Over at EvoAnth Adam Benton maintains an up-to-date blog on evolutionary anthropology, and he has discussed the H. floreisensis remains in several interesting entries. For a full round of the issues involved in the research of H. floresiensis and the LB1 type fossil, I highly recommend reading the Wikipedia entry on the species which covers all pertinent academic articles published. Beauty in the Bones has a detailed entry on the presentation of Down Syndrome in a more recent osteological context, highlighting the fact that no features of Down Syndrome are pathognomonic in themselves. Benton, A. 2014. Was the “Hobbit” a Human with Downs Syndrome? Probably Not. EvoAnth. Accessed 19/08/14. (Open Access). Brown, P. 2012. LB1 and LB6 Homo floresiensis are Not Modern Human (Homo sapiens) Cretins. Journal of Human Evolution. 62 (2): 201-224. Brown, P., Sutikna, T., Morwood, M. J., Soejono, R. P., Jatmiko, Wayhu Saptomo, E. & Rokus Awe Due. 2004. 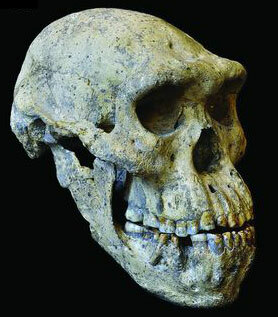 A New Small-Bodied Hominin from the Late Pleistocene of Flores, Indonesia. Nature. 431 (7012): 1055–1061. Eckhardt, R. B., Henneburg, M., Weller, A. S. & Hsu, K. J. 2014. Rare Events in Earth History Include the LB1 Human Skeleton from Flores, Indonesia, as a Developmental Singularity, not a Unique Taxon. PNAS. 111 (33): 11961-11966. (Open Access). Falk, D., Hildebot, C., Smith, K., Morwood, M. J., Sutikna, T., Brown, P., Jatmiko, E. W. S., Brunsden, B. & Prior, F. 2005. The Brain of LB1, Homo floresiensis. Science. 308 (5719): 242-245. Falk, D., Hildebolt, C., Smith, K., Jungers, W., Larson, S., Morwood, M., Sutikna, T., Jatmiko, E. W. S. & Prior, S. 2009. The Type Specimen (LB1) of Homo floresiensis Did Hot Have Laron Syndrome. American Journal of Physical Anthropology. 140 (1): 52-63. Hawks, J. 2007. Another Diagnosis for a Hobbit. John Hawk’s Weblog. Accessed 24/08/14. (Open Access). Henneberg, M., Eckhardt, R. B., Chavanaves, S. & Hsu, K. J. 2014. Evolved Developmental Homeostasis Disturbed in LB1 from Flores, Indonesia, Denotes Down Syndrome and Not Diagnostic Traits of the Invalid Species Homo floresiensis. PNAS. Early View: 1-6. (Open Access). McKie, R. 2014. Homo floresiensis: Scientists Clash Over Claims ‘Hobbit Man’ was Modern Human with Downs Syndrome. The Guardian. Accessed 19/08/14. Oxnard, C., Obendorf, P. J. & Kefford, B. J. 2010. Post-Cranial Skeletons of Hypothyroid Cretins Show a Similar Anatomical Mosaic as Homo floresiensis. PLoS ONE. 5 (9): 1-11. (Open Access). Reich, D., Green, R. E., Kircher, M., Krause, J. Patterson, N., Durand, E. Y., Viola, B., Briggs, A. W. & Stenzel, U. et al. 2010. Genetic History of an Archaic Hominin Group from Denisova Cave in Siberia. Nature. 468 (7327): 1053–1060. (Open Access). Sutikna, T., Tocheri, M. W., Morwood, M. J., Saptomo, E. W., Awe, R. D., Wasisto, S. … & Storey, M. 2016. Revised Stratigraphy and Chronology for Homo floresiensis at Liang Bua in Indonesia. Nature. In Press. doi:10.1038/nature17179. A paper has been by published by Lordkipanidze et al. (2013) in the journal Science which highlights the unique fossil finds at the Dmanisi palaeoanthropological site, in Georgia, of the cranial and post-cranial remains of 5 Homo erectus individuals. 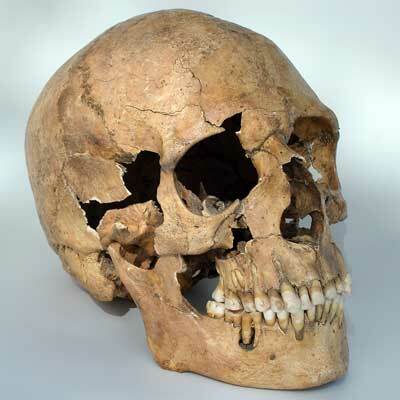 In particular the paper discusses the morphological aspects of the fifth Dmanisi skull, D4500 and associated mandible D2600, as a remarkably well preserved find. Discovered during field work at Dmanisi in 2005, D4500 and D2600 represents one of the best preserved and complete adult skulls of Early Pleistocene Homo fossils so far discovered and described (Lordkipanidze et al. 2013: 326). The paper in question debates the morphological variation between the cranial remains of the five Homo erectus individuals at Dmanisi, suggesting that there is greater variation in the Homo genus than is typically given credit for. The paper compares the five Dmanisi crania and their morphological variations between the individuals to early and later Homo species hominins (including early African Homo species and Homo neaderthalensis), modern Homo sapiens and extant apes (including Pan troglodytes). The conclusions of the article suggest that there is wide variation within the early Homo palaeodeme of morphological variation, much more than has been noted or given credit for with perhaps too many species being named and described as individual species in the early Homo fossil record. Lordkipanidze et al (2013:330) argue that the Dmanisi collection could represent evidence of the single lineage hypothesis for early Homo. Of course this is a contentious issues and further research is needed, but this is exciting nonetheless. There has been numerous online blog entries debating the article and its implication for the evolution of the Homo genus. To my mind the articles linked to below perhaps sum up the best reactions and thoughts to the article, although I look forward to further peer-reviewed research being carried out. Outlining the main issues from the article, and the evolutionary mechanism behind the variations present in the Homo genus, is Weiss’s article over at the The Mermaid’s Tale which is informative and exciting. He also discusses the background to the one species hypothesis within Homo which Lordkipanidze et al. (2013) imply could be a possibility as a result of their study of D4500. They also suggest it as a mechanism for phylogenetic continuity across continents for early Homo. John Hawks presents critical comments on the article and evocatively describes just how well D4500 has survived and how beautiful and complete a specimen the individual actually is. In particular Hawks offers his own interesting comments on early Homo evolution and the importance of understanding the many facets of evolution that are at work, including the genetic differences and how modern populations of Homo sapiens often provide poor comparative models for ancient Homo species. At A. P. Van Arsdale’s blog there is a nice breakdown of the article itself, including just why the five crania at Dmanisi are so important and just what their discovery may mean for interpreting the hominin fossil record. Now to end this brief blog post I think it is only right that I post a picture of the articulated skull of D4500 himself*. It is a beautifully preserved specimen and one worth taking the time to ponder over. The articulated individual known as D4500 (cranium) and D2600 (mandible) exhibiting a small braincase with a large prognathic face, found at the Georgian site of Dmanisi in 2005. The skull also boasts of one of the best preserved basicranial of any Homo erectus known (Hawks 2013) although the dentition displays that most of the teeth were worn past their crowns. Source: Lordkipanidze et al. (2013: 327). *It is likely that the individual is a male, but expected a flood of research to take place in the next few years on the Dmanisi individuals and their context within human evolution. A full list of scientific publications from the Dmanisi palaeoanthropological site can be found here on the official website (though I am unsure how often the site is updated). The website has detailed information on the formation and geology of the site, including the hominins and the different species of fauna that have been found, plus you can still get a place to dig at the actual site! Check out The Human Story’s take on a new 2014 article suggesting that there could possibly be two hominin lineages suggested at the Dmanisi site. Hawks, J. 2013. The New Skull from Dmanisi. John Hawks Weblog. 18/10/2013. Lordkipanidze, D., Ponce de León, M. S., Margvelashvili, A., Rak, Y., Rightmire, G. P., Vekua, A. & Zollikofer, C. P. E. 2013. A Complete Skull from Dmanisi, Georgia, and the Evolutionary Biology of Early Homo. Science. 342 (6156): 326-331. (Full article here, email if this doesn’t work). Van Arsdale, A. P. 2013. The New (Wonderfu) Dmanisi Skull. The Pleistocene Scene- A.P. Van Arsdale Blog. 17/10/2013. Weiss, K. 2013. How Many ‘Human’ Species are there? Is it even a Real Question? Why does Anybody Care? The Dmanisi Skulls. The Mermaid’s Tale. 21/10/2013. The imperative of the human species to ‘Know Thyself‘ has developed into a rapidly expanding field in palaeoanthropology. The exploration of our species, Homo sapiens, is a particularly active field which utilizes multi-disciplinary approaches to untangle the evolutionary threads of our beginning. The following essay introduces concepts and approaches used in this field, whilst raising current research issues. “For a species that is both narcissistic and inquisitive, Homo sapiens has so far done a remarkably poor job of defining itself as a morphological entity”, Tattersall and Schwartz (2008: 49). Thus starts the opening sentence to Tattersall and Schwartz’s 2008 article on the problems of clarifying the morphological distinctiveness of anatomically modern humans (AMH or the species Homo sapiens). It is perhaps applicable not just to the morphological characteristics but also the fossil record and origins of AMH themselves (Pearson 2008: 38). This paper, then, will discuss the principles behind the definitions and evolution of AMH in context with reference to its behaviour and morphological traits. In turn, the dominant models of the origin and subsequent dispersion of AMH will be discussed, with reference to where Homo sapiens ‘fit’ in the palaeoanthropological record. A wealth of new genetic research data and fossil finds has considerably opened up the treasure chest of hominin information, which is having a considerable impact on our understanding of the H. sapiens place in the evolutionary records (Bowden et al. 2012, Curnoe et al. 2012, Krause et al. 2010, Prat et al. 2011, Wood 2005: 42). It is directly as a result of how the reporting of evolutionary science has changed in the past few decades (McEwan 2012), and how technological approaches have uncovered so much genetic data in reconstructing fossil record relationships (Jurmain et al. 2011: 270), that the definition of AMH is not so easy. This paper will conclude with a talk on how the biocultural evolution of H. sapiens is now impacting both our environment and localised populations in certain contexts (Le Fanu 2009, Hawks et al. 2007, Jurmain et al. 2011). It is important to note that H. sapiens are the last species of the genus Homo, with the first species tentatively dated in Africa to nearly 2.5 million YA (years ago), which led to the first dispersal of hominins (largely H. erectus) from Africa around 1.8 YA (Jurmain et a.l 2011: 240); AMH dispersal occurred much later. It was once thought that AMH were defined by modern anatomy and behaviour at the junction of the Upper Palaeolithic around 40,000 YA (Nowell 2010: 438), however, recent palaeoanthropological finds and research have discovered a distinct ‘decoupling’ between early AMH anatomy and later symbolic/modern behaviour, with anatomically similar traits of AMH in fossils pinpointed to east and south Africa to around 200,000 YA (Rightmire 2008: 8, Wood 2005). However there are problems concurrent with the dating of the hominin fossil record, as Millard (2008: 870) concludes that ‘the dating evidence for many key fossils is poor’. Typically there are a number of assigned morphological features that mark out Homo sapiens compared to other species in the Homo genus (Table 1). As Tattersall and Schwartz (2008: 51) note, however impressive the suite of features ‘not all of them are expressed with equal emphasis in all living humans’. When this is combined with the fossil record of AMH, with individuals often taken as examples for their own long lost skeletal population and the problems inherent in the preservation of skeletal elements (geological pressure, scavenging etc), we should rightly be wary of definitively assigning a species name before comparison with relative contextual remains, stratigraphic layers and other similar period sites (Millard 2008, Pettitt 2005). Cranial capacity in excess 1350cc (variable). Brow ridge expressed more clearly in males. Typically less ‘robust’, more gracile, then recent ancestors. Table 1. General morphology for Homo sapiens (Pettitt 2005: 132, Tattersall and Schwartz 2008: 51, Wood 2005: 110). NB see also Pearson’s Table 2 (2008: 39). Using a cladistics framework, Pearson (2008: 38) highlighted the fact that there are specific difficulties in using statistical measurements of metrical and discrete measurements as having been conceptualised as derived features in AMH crania, with comparison to Neandertal and H. erectus crania. However there are further problems when trying to establish if the earliest H. sapiens African fossils of Omo Kibish, the Herto crania, or Near Eastern Skhul and Qafzeh fossils fit within the 95% rate of modern features, with results not even reaching the 75% fit of the modern features for AMH (Pearson 2008: 39). In part this is due to fossils, such as the Herto crania, which are used as the mean of that particular population, which ultimately ‘conflates individual, within-population variation and between-population variation’ (Jurmain et al. 2011, Pearson 2008: 39). Other problems of quantifying such long chronological morphological differences include the lack of various populations of modern (Australian aboriginals, for example) and certain prehistoric peoples being outside of the 95% confidence to fit the given morphological concept of AMH. Clearly there needs to be a control on the temporal/geographic population of the AMH under consideration in such studies, when carrying out both the statistical analysis with other fossil hominins and when taking the defining measurements. Pettitt (2005: 132-137) argues that H. sapiens should be classed into three arbitrary chronological groups of morphological continuity: 1) those of the earliest H. Sapiens, including material from Bodo (Ethopia), Broken Hill (Zambia) and Elandfontein (South Africa) amongst others; 2) Transitional (or archaic) H. sapiens including Herto, Omo Kibish 1 and 2 (Ethiopia), Florisbad (South Africa) and Jebel Irhoud (Morocco); 3) finally AMH including Makapansgat, Border Cave and Equus Cave (South Africa), Taramsa (Egypt), and Dar-es-Soltan (Morocco) examples (see Table 2 below for dates). This ordering of morphological continuity defines AMH through the evolution of H. sapien traits with retention of H. ergaster traits (earliest), whilst the AMH group compromise clear AMH dating to less than 125,000 YA (Pettitt 2005: 132). As Pearson (2008: 44) suggests, ‘the process of becoming modern likely occurred as a series of steps, regardless of whether one considers these different steps to be different taxa in a bushy phylogeny or merely different grades in a single evolving lineage’. Pearson (2008: 44) goes on to say that the ‘evolution of modern man should be viewed as a process rather than an event involving rapid morphological change due to drift during population bottlenecks and selection for new advantageous traits or genes, or a combination of the two’, rather than a singular smooth process. Therefore we should be wary of relying purely on the often sparse fossil record. Regardless, it is widely recognised that H. Sapiens are a probably daughter species of H. erectus (i.e. as a result of a speciation occurrence) which spread across Africa and into Western Eurasia at the beginning of, or just before, the Middle Pleistocene (Jurmain et al. 2011, Rightmire 2008: 8). Recent research has also led to five majority agreements in regards to the tenets of AMH behaviour (Table 2; Nowell 2010: 447). Wood (2005: 109) makes the salient point that early eurocentrism in the search for AMH behavioural origins clouded certain judgements, such as focusing on Western Europe to the detriment of African archaeological sites. The relationship between modern anatomy and modern behaviour is more complex than once thought. Modern behaviour has symbolic thoughts at its core. Archaeological record of the African Middle Stone Age has rendered invalid the idea of a ‘human revolution’ occurring for the first time in the Upper Palaeolithic of Western Europe. Later Neandertal sites have demonstrated modern behaviour to either some form or some degree, such as personal adornment or symbolic behaviour. The triad of social, cultural and demographic factors are key in understanding variability and patterning in the archaeology record. Table 2. Agreed points in visioning the concept of modern behaviour (Balter 2011: 21, Nowell 2010: 447, Pettitt 2005, Zilhao 2006; 2010: 1025). Research (Jurmain et al 2011, Prat et al 2012) has also highlighted symbolic behaviour in a number of early H. Sapiens sites throughout Africa and the Near East; Balter (2011: 21) highlights Aterian sites in North Africa where various personal and possible symbolic artefacts have been found, whilst Blombos Cave in South Africa (77,000 YA), and Katanda in the DR of Congo (80,000 YA), have some of the earliest symbolic artefacts recovered including incised ochre, worked bone and beads; almost a full 45,000 years before any such artefacts appear in the European record (Jurmain et al. 2011: 298-299). Mellars (2006: 9383) proposes a model that indicates climatic, environmental and cultural changes around 80,000 to 60,000 YA as major causative agents of cognitive change alongside population pressures in the dispersal of African H. Sapiens. However Nowell (2010: 441) states that the gradual emergence of behaviours as a mosaic of features, and not as a single revolutionary package, should be considered within the archaeological record, whilst defining that for the majority of researcher’s symbolic language and codified social relationships define modern behaviour. Mosaic features in fossil hominids have been noted in recent discoveries of the Australopithecus sediba specimen, highlighting a mix of Australopithecus and Homo anatomical features (Wong 2012: 25). The origins of AMH living outside of Africa have led to the formation of two major competing models in palaeoanthropolog: the multi-regional continuity hypothesis that proposes already living populations of hominins and local populations in Asia, Europe and Africa continued their ‘indigenous evolutionary development from pre-modern Middle Pleistocene forms to anatomically modern human’ (Jurmain et al. 2011: 281), whilst the complete replacement (or out of Africa) hypothesis proposes that AMH arose in Africa 200,000 YA to completely replace those in Europe and Asia (Table 3; Jurmain et al. 2011: 279). Critical to the multi-regional hypothesis are the tenets that i) a level of gene flow between geographically separated populations prevented speciation, ii) all living humans derive largely from the species H. erectus, iii) natural selection in regional populations is responsible for the regional variants found in extant populations, and finally, iv) that the emergence of H. sapiens was not restricted to one area per se but was a phenomenon that occurred throughout the geographic range where ‘humans lived’ (Johanson 2001: 1). Table 3. 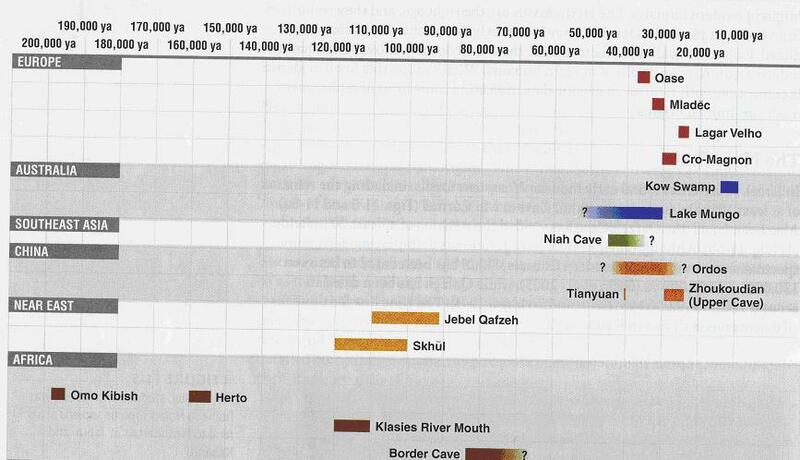 Timeline of major H. sapiens discoveries, question marks denote tentative dates (Jurmain et al. 2011: 413) (Click to enlarge). Critical to the complete replacement theory are that i) H. sapiens arose in one place, highly likely to be East/South Africa, ii) H. sapiens ultimately migrated out of Africa, and replaced all human populations without interbreeding, and that iii) modern human variation is a relatively recent phenomenon (Johanson 2001: 1). Although not all factors of the multiregional hypothesis cannot be falsified, it seems prevalent that H. sapiens originated in Eastern Africa (with Ethiopia so far providing the most stable dated site), and dispersed to Europe and Asia from 65,000 YA onwards in various waves (Table 2; Jurmain et al. 2011: 282, Mellars 2006: 9381). The two most securely dated sites in Europe for AMH are Pecstera Cu Oase in Romania at 42,000 YA and Buran Kaya III in the Crimea, Ukraine at 31,900 YA (Hoffecker 2009: 16040, Prat et al. 2011). Unsurprisingly, Hoffecker (2009: 16040) notes that the issue of the mechanism of transition is a ‘controversial topic in palaeoanthropology’. Arguments have been made that AMH crossed into Eurasia via a Levantine corridor, with the earliest AMH dates from Skhul and Qafzeh in Israel at around 120,000 to 100,000 YA (Wood 2005: 98), whilst recent work in North African Aterian populations from around the same period are pointed out as being possible ancestors to at least some of the H. sapiens who left Africa during this period (Balter 2011: 23). The palaeoanthropological evidence suggests that they, the Aterians, possessed the right symbolic behaviour, anatomy and favourable climatic conditions to be at least a contender for contributing to one of the waves of H. sapiens leaving (Balter 2011: 22-23). There are a variety of sites across Europe after 40,000 YA that show a variety of evidence for AMH presence, including the triad of modern human behaviour with symbolic artefacts and modern skeletal morphology. However, we should not forget that Europe was already populated with the H. Neandertalensis species prior, and co-existed with H. sapiens for approximately 10,000 years or so (Hoffecker 2009: 16040, Wood 2005: 110). This subject will be tackled shortly. The most secured dates found in Asia are from areas such as the Sahul region (conjoined landmass of Australia, Papua New Guinea and Tasmania), where it is possible AMH occupied various areas (Wood 2005: 111-112). It must be remembered that while the ‘dwarf’ species H. floresiensis survived up until 18,000 YA on the island of Flores with temporal overlap between themselves and H. sapiens, it seems unlikely there was regional overlap from the archaeological evidence (Wood 2005: 111). Curnoe et a.l (2012: 1) note that the AMH fossil record for East Asia is, at this time, poorly recorded owing to a lack of detailed description, rigorous taxonomy classification and a distinct lack of accurately dated fossils. However there are a few key sites: Liujiang in Southern China has produced a skeleton which, although it lacks exact stratigraphic position, has been dated to an estimated broad range from 153-30,000 YA, whilst the Niah Cave child in East Malaysia has been dated to 45-39,000 YA for the cranium from a recent field and lab program (Curnoe et al. 2012: 2). Tianyuan cave, just south of the Zhoukoudian cave, has fragmentary evidence of an AMH crania and teeth which are dated to 40,000 YA, with a possible mix of archaic and modern features; the American and Chinese team who excavated it have suggested it is evidence of interbreeding in China with resident archaic populations, but suggest an African origin for the AMH itself (Jurmain et al. 2011: 287). The above examples highlight problems in understanding the definition of AMH, both anatomically and behaviourally. With the advent of dispersals from Africa AMH interacted with other hominids, prominent of which are the Neandertals in Eurasia and the elusive Denisovans in Siberia (Krause et al. 2010, Hubin 2009, Noonan 2010, Zilhao 2006). Genetic evidence is unravelling what it is to be an AMH (Hawks et al. 2007), and there is evidence to suggest that Neandertals contributed up to 4% of non-African modern human DNA via gene flow (Green et al. 2010: 711, Reich et al. 2010: 1057). Roughly one third of Neandertal mtDNA genetic diversity, dating from 70,000 to 38,000 YA, is comparable to contemporary human populations (Briggs et al. 2009: 319), although Noonan (2010: 550) and Herrera et al. (2009: 253) raise the flag of caution as the majority of Neandertal remains were not collected with their regard to DNA investigation, whilst modern DNA contamination, despite the safeguards, is still prevalent. Briggs et al. (2009: 321) postulate that low mtDNA diversity throughout much of the Neandertal lineage may indicate a low effective population size, although it could be reflective of AMH direct/indirect influences as they spread from Africa (interbreeding or out competing for example). Herrera et al. (2009: 253) note that there are difficulties such as identifying haplotypes indicative of interbreeding. Nonetheless, as Zilhao et al. (2010: 1027) points out that a Mid-Palaeolithic Iberian Neandertal sites shows distinct features associated with AMH including symbolic behaviour, with ochre and shells displaying evidence of body paint, and organisation skills, which that studies believes is the outcome of demographic pressure, technology and ‘social complexification’ within the Neandertal species itself (Roebroeks et al. 2012: 2). Figure 1. Phylogenetic tree of complete mtDNA rooted with chimpanzee and bonobo mtDNA, showing geographic origin of mtDNA samples (Krause et al. 2010: 896) (Click to enlarge). Meanwhile Krause et al. (2010: 896) provide evidence that the Denisovans split before Neandertal and AMH at around 1 million YA, whilst Neandertals and H. sapiens ancestors split around 690,000 to 550,000 YA (Jurmain et al. 2011: 270). Pairwise nucleotide differences indicate that Neandertals differ from modern humans at around 202 nucleotide positions whilst the Denisovan individual differs at 385 positions (Krause et al. 2010: 895), which alongside the phylogenetic evidence (Figure 1), supports a deeper divergence of the Denisovan hominin than between the closer related H. sapiens and Neandertal species. There is the distinct possibility of admixture; this is reinforced by the apparent coexistence of the surrounding area by Neandertals, AMH and Denisovans in the Altai region at roughly the same time periods, and by the fact that Denisova populations contributed roughly 4-6% present day DNA in AMH Melanesian populations; this suggests they interacted with Melanesian ancestors, but probably not in the Siberia region (Krause et al. 2010: 895, Reich et al. 2010: 1053). The lack of complete remains and its physically limited location from this suspected new species at Denisova Cave limit our knowledge but tests are continuing. If this hominin, as hypothesised, had a wide geographical range (Reich et al. 2010: 1059), the question must be asked why we haven’t noticed it before? Interestingly Abi-Rached et al. 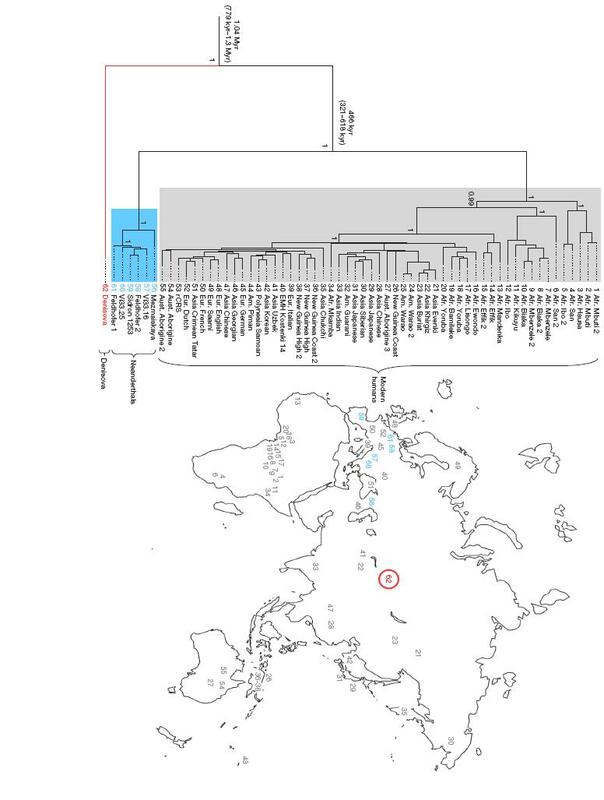 (2011: 94) highlight that the fact that as the AMH Eurasian populations mixed with archaic hominids, adaptive introgression of vital immune system components (Human Leukocytes Antigen class 1) helped to provide a mechanism for rapid evolution. The adapted introgression of the genes now represent more than half of the HLA alleles in modern Eurasians, and were later introduced into African populations (Abi-Rached et al. 2011: 89). Therefore the definition of AMH must include evidence of interbreeding to some degree. Future genomic studies in other archaic hominins should provide more information relating to the relationships between species; however it seems clear that gene flow was relatively common in the Upper Pleistocene (Reich et al. 2010: 1059). Increased AMH demographic growth and geographic spread dated from 80,000 YA to the present, has led to rapid genetic evolutionary selective pressures on features including ‘skin pigmentation, adaptation to cold and diet’ amongst others (Hawks et al. 2007: 20756). Some of the most dramatic have been associated with the uptake of agriculture during the Neolithic period, both in terms of our ability in coping with disease and changes from interaction via population density (Barnes et al. 2011: 848). This is partly the result of cultural and ecological reasons (i.e. a biocultural pathway), and Hawks et al. (2007: 20756-20757) remark that in their study it was noted ‘new adaptive alleles continued to reflect demographic growth, (that) the Neolithic and later periods would have experienced a rate of adaptive evolution >100 times higher than characterised most of human evolution’. Two examples help highlight the effects of biocultural change in modern population: coevolution of humans and cattle since the Neolithic has resulted in distinct populations of modern humans becoming lactose persistence, such as Europeans, whilst other populations, such as African and Asian adults, are largely lactose intolerant (Jurmain et al. 2011: 313). This is through active selection of breeding cattle which ‘inadvertently selected for the gene that produces lactose persistence in themselves’ (Jurmain et al. 2011: 313); this example shows the geographical distribution of lactose persistence is often related to a history of cultural dependency on fresh milk products. On the other hand, modern population pressures include the admixture of populations who have had the pressures of urbanisation, agriculture and gene selection for disease loading (such as Tuberculosis) who then interact with indigenous populations, such as Torres Strait Islanders and Papua New Guinea populations, who are not predisposed to deal with TB because of their lack of long term cattle coevolution (Barnes et al. 2011). The importance is recognising that there is great variation at an environmental genetic level in modern AMH, and this is highly likely to be the case during the long and concurrent evolution of AMH (Jurmain et al. 2011). In conclusion the definition of AMH comes to thus; either a strict definition of AMH present at around 40-35,000 YA onwards, with the full suite of the triad of anatomically modern skeletal elements, modern behavioural & cognitive functions, and similar genetics to today’s worldwide population (Tattersall & Schwartz 2008), or we can take the view that H. sapiens evolved with a mosaic of features that they themselves appeared at different times during the evolution of AMH (Jurmain et al. 2011, Pettitt 2005). It is this author’s belief that the origin of H. sapiens species lies at the Omo Kibish site in Eastern Africa as the earliest evidence so far, and the definition of AMH must be taken with accord of the fossil record (Jurmain et al. 2011). Throughout this paper, a long chronology has been presented and discussed of H. sapiens in the context of human evolution, and consideration has been given to the relatively modern genetic changes in modern human populations (Hawks et al. 2007). This view belies the complexity of defining AMH, especially as new hominins are found (Krause et al. 2010, Reich et al. 2010, Wong 2012), as the consideration of the context is paramount. There is inherent variation in the record, as evidenced between the distinct morphological variation between Omo 1 and Omo 2 fossils, leading up to the palaeogenetic and modern genetic variation and morphological in populations from inside and outside Africa (Briggs et al. 2009, Hawks et al. 2007, Harvati et al. 2012). In comparison, the origin of the Homo genus is still in dispute (Wong 2012: 24) and the chimpanzee fossil record is distinctly lacking (Wood 2005: 69-70). Only recently has SNP genotyping revealed the extent of Pan troglodytes ellioti as a genetically distinct species (Bowden et al. 2012: 1). The importance of this is that we should seek to place the well discussed H. sapiens within a larger framework of where hominins (both extant and extinct) diverged, interacted and evolved (see discussion- Patterson et al. 2006: 1106, Wakeley 2008). The definition of AMH is therefore but one fragment of our long evolutionary history. A condensed scientific article on the overview of hominin evolution can be found here, as can a number of free articles on specific case studies at the Mermaid’s Tale. A Scientific America blog on the importance of the nearly 2 million year old South African hominin Australopithecus sediba in human evolution. Abi-Rached, L., Jobin, M. J., Kulkarni, S., McWhinnie, A., Dalva, K., Gragert, L. Babrzadeh, F., Gharizadeh, B., Luo, M., Plummer, F. A., Kimani, J., Carrington, F., Middleton, D., Rajalingam, R., Beksac, M., Marsh, S. G. E., Maiers, M., Guethlein, L. A., Tavoularis, S., Little, A., Green, R. E., Norman, P. J., & Parham, P. 2011. The Shaping of Modern Human Immune Systems by Multiregional Admixture with Archaic Humans. Science. 334 (6052): 89-94. Adler, D.S. et al., 2008. Dating the Demise: Neanderthal Extinction and the Establishment of Modern Humans in the Southern Caucasus. Journal of Human Evolution. 55: 817–833. Balter, M. 2011. Was North Africa the Launch Pad for Modern Human Migrations?. Science. 331: 20-23. Finlayson, C., 2004. Neanderthals and Modern Humans: an Ecological and Evolutionary Perspective.Cambridge: Cambridge University Press. Green, R. E., Krause, J., Briggs, A. W., Maricic, T., Stenzel, U., Kircher, M., Patterson, N., Li, H., Zhai, W., Fritz, M. H., Hansen, N. F., Durna, E. Y., Malaspinas, A., Jensen, J. D., Marques-Bonet, T., Alkan, C., Prufer, K., Meyer, M., Burbano, H. A., Good, J. M., Schultz, R., Aximu-Petri, A., Butthof, A., Hober, B., Hoffner, B., Siegemund, M., Weihmann, A., Nusbaum, C., Lander, E. S., Russ, C., Novod, N., Affourtit, J., Egholm, M., Verna, C., Rudan, P., Brajkovic, D., Kucan, Z., GUsic, I & Doronichev, V. B., Golovanova, L. V., Lalueza-Fox, C., Rasilla, M., Fortea, J., Rosas, A., Schmitz, R. W., Johnson, P. L. F., Eichler, E. E., Falush, D., Birney, E., Mullikin, J. C., Slatkin, M., Neilsen, R., Kelso, J., Lachmann, M., Reich, D. & Paabo, S. 2010. A Draft Sequence of the Neandertal Genome. Science. 328 (5957): 710-722. Herrera, K. J., Somarelli, J. A., Lowery, R. K. & Herrera R. J. 2009. To What Extent Did the Neanderthals and Modern Humans Interact? Biological Reviews. 84: 245-257. Hoffecker, J.F. 2009. 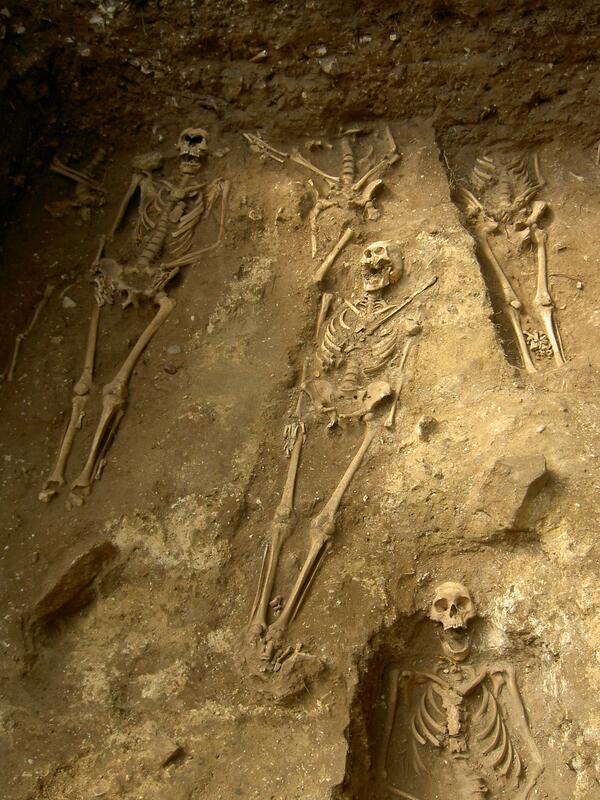 The Spread of Modern Humans in Europe. Proceedings of the National Academy of Sciences. 106 (38): 16040–16045. Hubin, J. J. 2009. The Prehistory of Compassion. Proceedings of the National Academy of Sciences. 106 (16): 6429-6430. Johanson, D. C. 2001. Origins of Modern Human: Multiregional or Out of Africa?. American Institute of Biological Sciences. Accessed at http://www.actionbioscience.org/evolution/johanson.html#primer on the 24th of March 2012. Jurmain, R., Kilgore, L. & Trevathan, W. 2011. The Essentials of Physical Anthropology, International Edition. Belmont: Wadsworth. Le Fanu, J. 2009. Why Us? How Science Rediscovered The Mystery of Ourselves. London: HarperPress. McEwan, I. 2012. The Originality of the Species. The Guardian: Books Section. 23rd March 2012. Accessed at http://www.guardian.co.uk/books/2012/mar/23/originality-of-species-ian-mcewan on the 24th March 2012. Mellars, P. 2006. Why did Modern Human Populations Disperse from Africaca. 60,000 Years Ago? A New Model. Proceedings of the National Academy of Sciences. 103 (25): 9381–9386. Millard, A. R. 2008. A Critique of the Chronometric Evidence for Hominid Fossils: 1. Africa and the Near East 500-50KA. Journal of Human Evolution. 54 (6): 848-874. Noonan, J. P. 2010. Neanderthal Genomics and the Evolution of Modern Humans. Genome Research. 20: 547-553. Nowell, A. 2010. Defining Behaviour Modernity in the Context of Neandertal and Anatomically Modern Human Populations. Annual Review of Anthropology. 39: 437-454. Patterson, N., Richter, D. J., Gnerre, S., Lander, E. S. & Reich, D. 2006. Genetic Evidence for Complex Speciation of Humans and Chimpanzees. Nature. 441: 1103-1108. Pearson, O. M. 2008. Statistical and Biological Definitions of “Anatomically Modern” Humans: Suggestions for a Unified Approach to Modern Morphology. Evolutionary Anthropology. 17: 38-48. Reich, D., Green, R. E., Kircher, M., Krause, J., Patterson, N., Durand, E. Y., Viola, B., Briggs, A. W., Stenzel, U., Johnson, P. L. F., Maricic, T., Good, J. M., Marques-Bonet, T., Alkan, C., Fu, Q., Mallick, S., Li, H., Meyer, M., Eichler, E. E., Stoneking, M., Richards, M., Talamo, S., Shunkov, M. V. Derevianko, A. P., Hublin, J. Kelso, J., Slatkin, M. & Paabo, S. 2010. Genetic History of an Archaic Hominin Group from Denisova Cave in Siberia. Nature. 468: 1053-1060. Rightmire, G. P. 2008. Homo in the Middle Pleistocene: Hypodigms, Variation, and Species Recognition. Evolutionary Anthropology. 17: 8-21. Tattersall, I. & Schwartz, J.H., 1999. Hominids and Hybrids: The Place of Neanderthals in Human Evolution. Proceedings of the National Academy of Sciences, 96: 7117–7119. Wakeley, J. 2008. Brief Communication Arising: Complex Speciation of Humans and Chimpanzees. Nature. 452: E3. Wong, K. 2012. First of Our Kind. Scientific American. 306 (4): 20-29. Zilhao, J., 2006. Neanderthals and Moderns Mixed, and It Matters. Evolutionary Anthropology. 15: 183–195. Zilhao, J., Angelucci, D. E. Badel-García, E., d’Errico., Daniel, F., Dayet, L., Douka, K., Highm, T. F. G., Martínez-Sánchez, M. J., Montes-Bernárdez, R., Murcia-Mascasrós, S., Pérez-Sirvent, C., Roldán-García, C., Vanhaeren, M., Villaverde, V., Wood, R & Zapata, J. 2010. Symbolic use of Marine Shells and Mineral Pigments by Iberian Neanderthals. Proceedings of the National Academy of Sciences. 107 (3): 1023–1028.